with a new fun Dog Collar Crochet Pattern. is stitched with green sparkle yarn. is stitched in Lime green yarn. So you put as many clovers as you like. any size dog, cat, pet or human! I want to make one for me to wear also! Please, add this pattern to Your Ravelry Favorites. 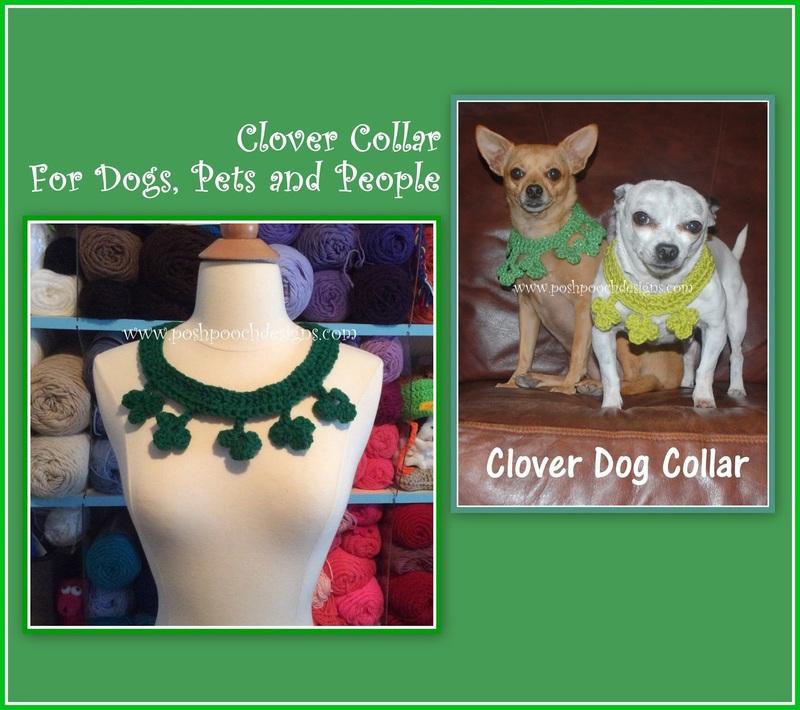 This pattern is for the Collar with 3 Clovers. Size: Small Dog( 12 inch neck) But easy to adjust to any size dog or pet. Notes: This pattern is for the Collar with 3 Clovers. R : 1 - Ch 37, join in a circle, do not twist. R : 4 - 1 sl st in the 1st 10 hdc. 1 sl st in the next 10 hdc, join and tie off, weave in your ends. These are so very fun to make and Fun to wear! Heart Bobble Dog Sweater - Happy Valentine's Day!